I searched far and wide trying to find a good fitting pair of jeans, which didn't feel too big or baggy. Safe to say these are perfect for the more fitted look, very comfortable and breathable. Very warm in sub 0 temperature and feel like they would hold up in wet weather, and in case of an unfortunate accident. Top rating from me, can't fault them so far. I normally buy 30W32L in normal jeans and the small fits perfectly for these. I have worn these only in the cold weather so far and I'm not disappointed as have kept me warm in the very low February temperatures in Scotland. I am 5'11" with average build and went for the large which is a perfect fit. I can also wear jeans underneath these if I want with no real issues. These go perfect with my T-Jaws waterproof textile jacket. Very warm and comfy trousers. They fit well without anything underneath, got an L for a 33 waist. They get a bit warm if temperature gets close to 15 but that's why it was removable liner. Totally recommend them. Not much to say about these trousers that hasn't already been said in other reviews. 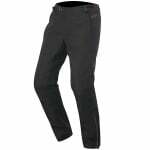 They're very warm and cozy, completely waterproof, and fit comfortably when riding. I've just done an hour's commute in pouring rain wearing them zipped in to my existing Alpinestars jacket and I arrived warm and completely dry. Perfect for winter, maybe get something a bit less cozy for summer. One of the reasons I had to get rid of my last pair of trousers was the rubbish Velcro they put on gear to prevent it lasting too long. These trousers have some Velcro for adjusting the waist at the sides, but the bulk of the fasteners - certainly all of the fasteners you'll use regularly - are zips and buttons, so no need to worry about that. Fit-wise, what others say about them having a slimmer fit is quite right. I'm ordinarily a long-legged 34 waist and would have gone for medium, but went for large on the advice of other reviewers. When worn alone (or with very thin trousers/shorts on), they fit perfectly. A bit tighter when I've got jeans underneath, but doable. Can only echo other reviews as to how warm and water resistant these are. All in all, good quality gear. Super warm, super comfy. I have complete confidence in them during the winter. I bought these for a trip to Scotland expecting to test both the thermal and waterproof properties of the trousers. Fortunately the weather was glorious, so not really able to comment on either. What I can say however is that they were extremely comfortable. The profiled knee protection works well and is unobtrusive when sat on the bike. I was looking for something with a slimmer fit and these were perfect. 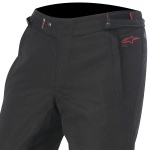 The quality of the fasteners and zips is very good with plenty of adjustment to ensure an optimum fit. 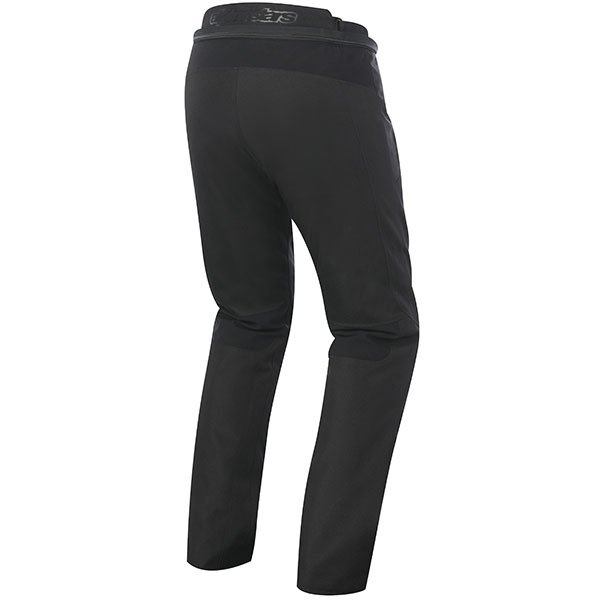 The inner lining is easy to remove and allows the trousers to be worn in warmer weather without losing any of the protection. Overall, really pleased with trousers, just need to test in the cold and wet weather; no doubt I won't have to wait too long! Having moved from leathers for winder as I was sick of getting cold and wet I was not disappointed in these. Feel safe and secure and keep me totally dry. Are a little tight with the thermal liner in place if you wear trousers underneath. I'm a 35ish inch waste and are comfortable in XL and have room to spare. Really warm and kept me completely dry in heavy showers worn down to about 0 degrees so far and been totally fine. Fit over my boots too cant fault them at this price! Put them on the house to try the size etc, had to take them off withing 5 minutes as they were too warm! Out on the bike they offer excellent warmth even in the recent low temps! Could not of asked for a better item. Really comfortable, kept me toastie warm on a bitterly cold day. The inside leg measurement is 32 inches. hello, I@M a 36uk eu 52;but need leg length 31'' short I would think. do you have these. thanks. These jeans are not available in a short leg option.